Black and White was released in 2001, it's over 15 years old. And sadly it hasn't aged well, there are a magnitude of issues just managing to install it before you hit the magnitude of issues involved in actually playing the game. 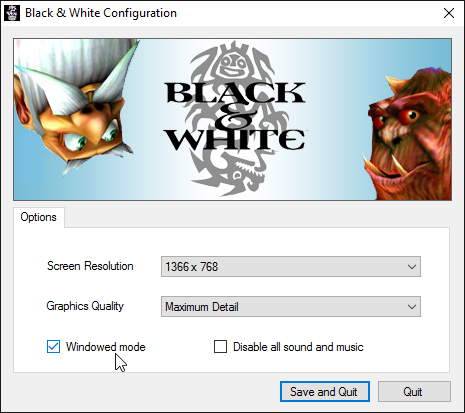 1: Install Black & White base game via Setup.exe with "Run as Administrator". 2: Install Patch 1.1, Patch 1.2, Patch 1.4 (links below) all with "Run as Administrator". 3: Download and install all addons with "Run as Administrator". 4: Right Click runblack.exe, and under the Compatibility tab, check Run this program as an administrator and nothing else. 5: Copy the Audio folder from the CD to the game installation directory to fix issues with the music not playing. "Run as Administrator"). You can install the game anywhere you want. At the end of the installation, it will ask you if you want to play the game. Select no. At this point you can install any addons you want, I recommend getting the four additional creatures; the leopard, the mandrill, the gorilla and the horse as well as the villager banter add-on. You can download the football add-on now too, but you can’t install it until after you patch the game. All addons must be installed using Run as Administrator" Note that after each add-on you install you will get the Program Compatibility Assistant asking you whether or not the program installed correctly. 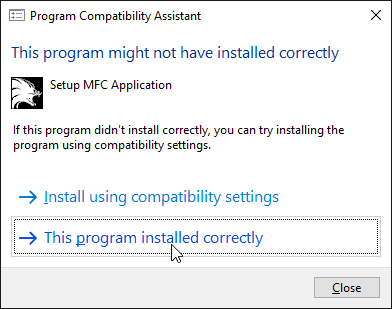 You can select this program installed correctly for each. Before you go patch crazy and install the latest one, listen; there were a total of three patches released, patch 1.1, patch 1.2 and patch 1.3. Patch 1.3 only adds support for the P5 glove. If you happen to have one of these, then you’ll want to get patch 1.3 but if you don’t you’ll want to stick with patch 1.2. Install Patch 1.1 "Run as Administrator"
Install Patch 1.2 "Run as Administrator"
Just don't install patch 1.3, it's not worth it. Install Fan Patch 1.41 (last updated: Jan 4th 2018) "Run as Administrator"
Now you can install the football add-on if you wish. Without the fan patch, the game will be completely unplayable, so make sure you don't skip that step. Next, you have to copy the audio files from the CD if you want to have music at all, open your CD folder, open your installation folder and just copy the files across. I've included a very simple Setup.exe with the fan patch, simply run it select your resolution (supports all resolutions your monitor can handle) and set your graphic level and you're done, no messy registry editing. When starting the game, first try with nothing set, if that doesn't work; try setting runblack.exe to run as administrator, this will change the save directory however so be careful. Compatibility mode is not recommended. If you have any issues please leave a reply below and I'll do my best to help you. Oops, I've made it target .NET 2.0 now so it should be able to run on your system. I am not sure if more people are having the same problem, but Windows 7 security patch KB3086255 makes old games like Black & White and the Sims unable to run. Please look into this issue and see if has any effect on your installation guide. I believe this Windows Update removes Safedisc drivers, my fan patch mentioned in the OP removes Safedisc protection from the exe and makes it run fine. I have the fan patch installed, but football addon don't work. Be what you will, you are destiny. To uninstall just run the uninstaller, if that works or doesn't you can then delete the game folder files and then delete the registry keys in the opening post. Not sure why that's happening sorry, will have to look into it when I have some free time. This guide is absolutely perfect for the most part. 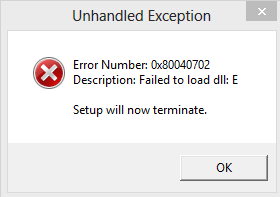 I've gotten the game up and running but I'm still running into two issues. 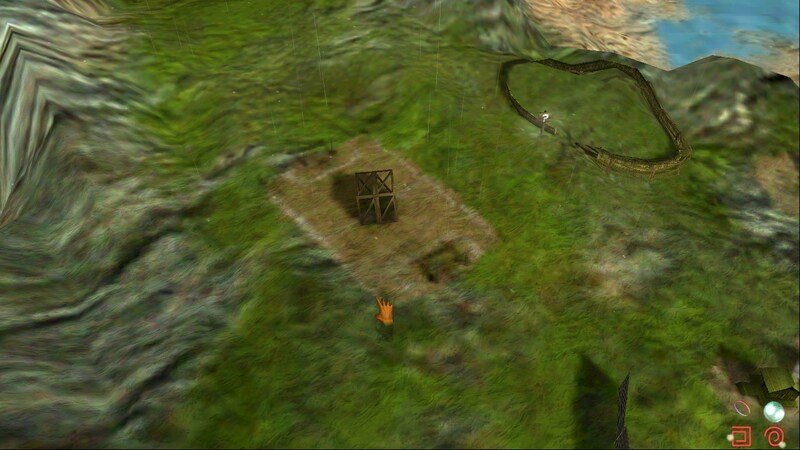 The first of which is the football addon still isn't working (even in Creature Isle! ), but I suppose there's no way around that so long as I'm using windows 7 (all other addons work, however). Is there any way around this or is it just one of those things that can't be helped? The more major issue I'm having is crashing and subsequent corruption of my save files. A few times during my playthrough I would get the "lh.exe has stopped working" out of nowhere and lose quite a bit of progress. Thankfully, the damage wasn't too bad due to autosave. Things came to an unfortunate end at the end of land 2, which upon clicking the golden reward scrolls that leads to land 3 via the vortex, the game would autosave, then proceed to crash. When I loaded it back up, I was several hours behind, despite the game autosaving many, many times before that (I think it brought me back to when Khazar was still alive). I tried loading every file I could find in the save room, including both the manual and auto ones, but they would all bring me back to a very old save. This is rather frustrating to say the least. I know how to fix the addons, I'll do that when I get some time. As for the auto save, ehh no idea why it isn't working as intended will need more investigation. Any other bugs you can find I'll try and fix them all when I get some free time soon. Looks like the new patch messed with something. Not only is the game not going full screen (the screen is windowed yet goes far into the right side of the screen) and showing version 1.00, but it appears to keep the lh process running even when you exit out of the program. I'll try to get some screenshots up later. I'm sure it's something minor. Thank you for your effort in the first place, though. EDIT: Same thing is happening, even with the installer. Looks like it's not only forcing it into windowed mode (even if you don't tick the windowed box), but also setting the resolution very low. I've actually managed to upload a pic this time with my ever-amazing MS paint printscreen skills.